Kangana Ranaut has been known for not mincing her words and wear her heart on sleeves. The diva has often spoken her mind and didn't even hesitate from admitting to be physically abused by someone who was her father's age. 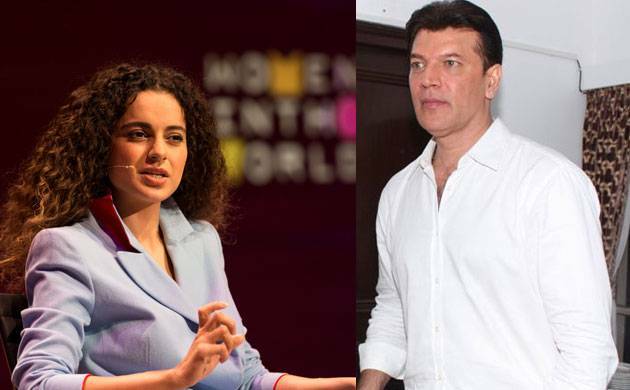 So far, there have been speculations about this mysterious man to be Aditya Pancholi and now Kangana has come forward to confirm all the speculations and stated that her mentor turned into a tormentor. In her recent interview with Barkha Dutt, the Queen actress stated, "It was a very difficult and harsh time. I was physically abused. I don’t have to go to details. I felt trapped. You feel people might help you but there are no free lunches. But when you are young, you fall for it. This man, who was my father’s age hit me hard on my head when I was 17. I started bleeding. I took out my sandal and hit him hard and he started to bleed too. I lodged an FIR against the man." Kangana also stated that she even seeked help from Pancholi's wife Zarina Wahab. "I’m a year younger than his daughter. I was a minor. For me, this was all very new – the world that I had come into. I remember going to his wife and meeting her, and I’m like ‘Please save me! I’m younger than your daughter. I’m a minor and I can’t tell my parents," the actress added. As per the interview, Zarina reportedly told Kangana,"For me the greatest relief is that he doesn’t come home anymore." The Bullet Rani actress then admitted that Wahab's reaction came as a shock of her life leaving her in a fix. "So then, I was like who is going to help me now? If I go to the cops, my parents are going to take me back and I didn't know which is worse, because then there's no way out," Kangana added. Eventually, Kangana seeked help from police and said that was the best step she decided to take which eventually helped her come out of the torturous relationship. And rest as we know is history. On the work front, Kangana will be seen in Hansal Mehta's upcoming directorial Simran which is slated to release on September 15.